REIKI can help to enlighten, heal, and transform all areas of your own Life. REIKI relieves stress, promotes deep relaxation and allows deep healing to take place. Becoming empowered as a REIKI Channel gives you unlimited access to this Energy and helps to enhance all areas of your life. The more you use it the more powerful it becomes. REIKI helps to relieves stress, promotes deep relaxation and allows deep healing to take place. REIKI is a natural healing technique which is available to everybody. Learning REIKI activates your own natural healing abilities and enhances them. REIKI can be used on yourself or on others. You do not have to enter an altered state to use REIKI. It is always available to you where ever you are, what ever you are doing. REIKI is one of the most loving things you can do for yourself. 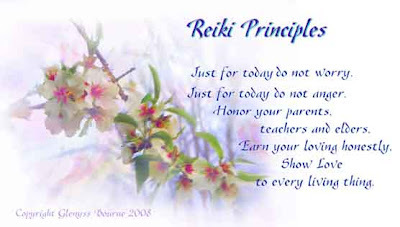 REIKI is a perfect tool for personal growth, as it is extremely gentle, yet profoundly empowering. It allows you to grow at your own pace. REIKI gently opens your mind to the underlying causes of "dis-ease", and helps you to address these issues, in your own way. REIKI is a first aid kit in your own hands. Children and animals love to receive REIKI helps you to access your Higher Self. REIKI helps you to release emotional blocks and barriers that you may have been holding onto. Gives a sense of deep peace and wellbeing. Restores the natural balance of the body. Works on the physical emotional and spiritual bodies, healing on all levels. Releases blocked energy allowing the body to heal itself. Helps you to connect to your own Higher Self. Can be used as a simple yet powerful Meditation technique. Helps to stop healers "energy drain", as it energizes you while you are giving healing. It is perfect for all health professionals. Complements the effects of both traditional and alternative healing methods. Assists greatly in the relief of pain, and fear. Is a wonderful tool to help in the care of the sick and dying. Can be used on animals as well as people. Is completely self adjusting, you cannot overdose on REIKI. If you learn REIKI with Glenyss you will be part of an intimate group. There will be much emphasis placed on your own personal experiences, and you will be gently encouraged to trust in your own intuition and abilities. 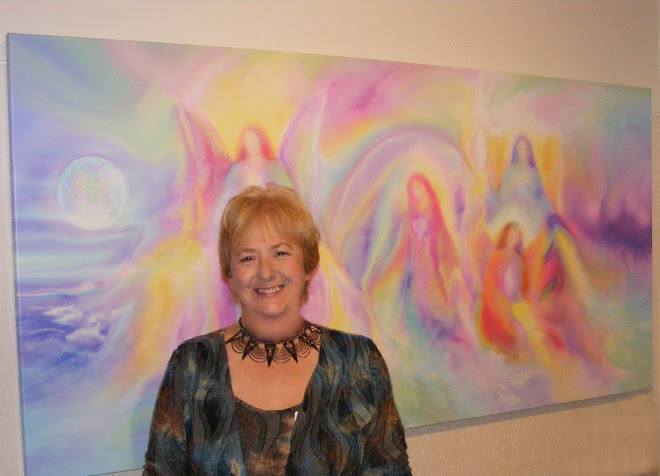 Sanctuary Angel Gallery is the perfect environment to learn Reiki. 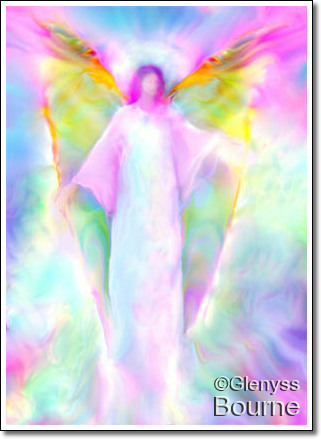 You will be surrounded by the high vibration of inspirational Angel Artwork in an atmosphere of peace and harmony. Workshops are held regularly at Sanctuary, if the dates do not suit you, we can arrange individual sessions; or you may wish to form your own group of five or more - group discount applies. Individual Reiki tuition is also available by appointment. Sanctuary Gallery and Healing Centre is the perfect environment to learn Reiki. 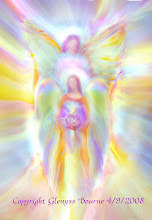 You will be surrounded by the high vibration of inspirational Angel Artwork in an atmosphere of peace and harmony. Workshops are held regularly at Sanctuary. If the dates do not suit you, we can arrange individual sessions, or you may wish to form your own group of five or more, group discount applies. Call for details. Individual Reiki tuition is also available by appointment. I also will help to re-empower Reiki Channels who feel they need to re-connect more deeply with Reiki, or arrange for them to review a Reiki workshop. If you are interested, call me on 0359 786484 for more details. Reiki 1st degree is a complete system of natural healing and a wonderful relaxation and meditation technique for use on yourself and others. Reiki 1 consists of a one day session 10pm- 4.30 pm, followed by several Reiki practise sessions some with an additional attunement included, available at a later date. These sessions will be held regularly at Sanctuary and you will be able to attend as many as you wish. Reiki 2 is for those who have already completed Reiki 1 and wish to deepen their experience of Reiki and learn absent healing. If you are interested in doing Reiki 2nd degree or Reiki Masters EMAIL Glenyss for more details. Glenyss is an experienced Reiki Master who has been working with Reiki for twenty years both as a practitioner and Teacher and teaches traditional Usui Reiki. 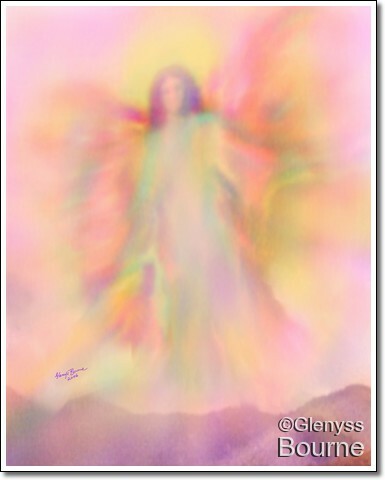 This Video has been infused with Reiki Energies and Angelic Energies. It features Glenyss Bourne's healing Artwork and the Universal Healing Mantra, Om Namah Shivaya. Take a few minutes to relax and enjoy!